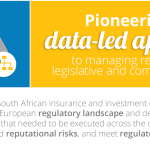 BSG assisted a leading South African insurance and investment company to understand the South African and European regulatory landscape and define a list of applicable compliance initiatives that needed to be executed across the organisation to mitigate major financial and reputational risks, and meet regulatory requirements. 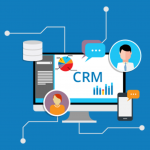 Leveraging existing client and industry data to create a view that closes compliance gaps, and mitigates major financial and reputational risks. Do you need to mitigrate compliance risk? BSG has the knowledge and experience to leverage existing client and industry data to create a view that closes compliance gaps, and mitigates major financial and reputational risks.